Partial dentures are a fantastic solution for patients who are missing multiple back teeth. 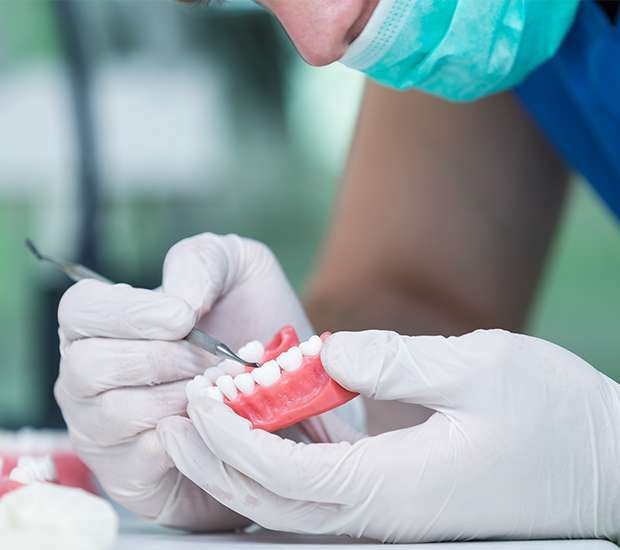 There are all sorts of benefits to partial dentures for back teeth, ranging from the comparably low cost to superior comfort and improved oral health. With partial dentures for your back teeth, you will be able to eat, drink, talk and smile without reservation. Let's take a look at some of the most frequently asked questions about this oral health solution. How many partial dentures are required for each arch? One partial denture is necessary for each arch. It does not matter how many back teeth you are missing. As long as you are not missing all of your teeth, a single partial denture will suffice for each arch. Q. How many partial dentures are required for each arch? A. One partial denture is necessary for each arch. It does not matter how many back teeth you are missing. As long as you are not missing all of your teeth, a single partial denture will suffice for each arch. Q. Are removable partial dentures for back teeth stable? A. Yes. You can replace several back teeth with a partial denture in full confidence. It will remain firmly in place. Though some claim dental-implant restored teeth are more stable, you cannot beat the economics of partial dentures. This is the most affordable option for replacing multiple back teeth. Q. Will I be able to smile and eat with confidence once my partial dentures are in place? A. Yes. You will smile widely and eat without reservation once this natural-looking customized partial denture is in place. It really is the perfect solution for multiple missing back teeth. Your partial denture makes it extremely easy to chew food of all varieties. Q. Will partial dentures for multiple back teeth improve my speech? A. Absolutely. Those who are missing several back teeth often struggle to speak with precision. Partial dentures make speech easier and clearer. Q. Will the addition of partial dentures for missing back teeth alter my appearance? A. Partial dentures often provide much-needed support for the cheeks and lips. This added support prevents the face from sagging. You read that right. With partial dentures, you might even end up looking younger. Q. Are partial dentures for back teeth the same as bridges? A. No. These are two different oral health solutions. A partial denture replaces back teeth with a removable solution. This is why partial dentures are known as "removable." Bridges replace missing teeth with something permanent that one cannot easily remove. Bridges often require reducing the size of adjacent teeth for crowns. The same is not true of partial dentures for missing back teeth. Partial dentures are ideal when there are not enough teeth available for a bridge. Precision partial dentures have internal attachments instead of clasps that connect to adjacent teeth. Q. Will other teeth move once the partial denture is placed? A. No. This is one of the many advantages of partial dentures for back teeth. The partial denture fills the spaces of missing teeth and also stops other teeth from moving. Q. Will the partial denture affect the look of my gums and other teeth? A. No. The acrylic base upon which, we affix the replacement teeth will resemble the color of your gums. Q. Are crowns or caps necessary? A. Your oral health professional might recommend crowns or caps on surrounding teeth to enhance the manner in which the partial denture fits within your unique mouth. Thus, we will review your oral health condition and determine the most effective solution. Q. Will the partial denture feel odd? A. You might feel a bit uncomfortable placing the partial dentures in your mouth. However, once you get used to putting them in and taking them out, you won't mind them one bit. Just be sure to avoid forcing your partial denture into your mouth by biting down. Applying such force has the potential to break or bend the clasps or even damaging teeth. When in doubt, speak with your dentist. Q. 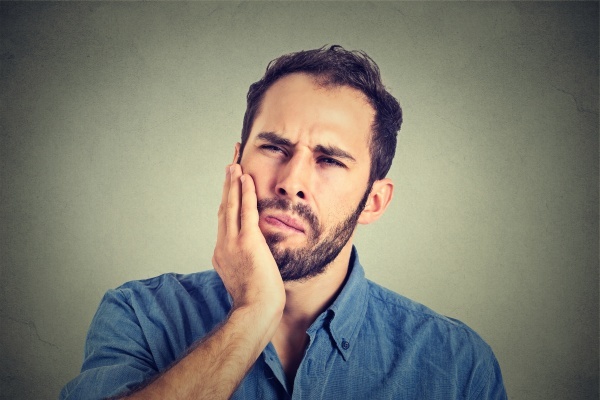 Will I have to wear my partial dentures for back teeth 24 hours a day? A. >No. In fact, patients are advised to take out their partial dentures at some point during the day and/or night. Many dentists recommend taking out partial dentures for back teeth before sleeping. You can put the partial dentures back in place upon waking. A. Most patients attend follow-up appointments. These appointments address any sore spots, pressure points and possible adjustments for the perfect fit. Q. Can I eat the same foods after adding partial dentures for back teeth? A. Dentists advise starting out with soft foods. Cut them into fairly small pieces so you can get used to eating with your partial dentures in place. Chew on each side of your mouth to maintain even pressure. Avoid especially hard and sticky foods. Q. Does this oral health solution require special care? A. Partial dentures for back teeth require a daily cleaning. Remove the denture, rinse off any leftover food particles, wet the brush and place the denture cleaner on it. Use a special denture-cleaning brush to gently scrub the surface. Avoid toothpaste for cleaning as it has abrasive particles that can cause damage to the base. Rinse the denture following the use of the cleanser. If you live in the Tucson area, call (520) 365-0559 to schedule your dental exam so that you can remain in good health or receive treatment for a current condition. Q. Are removable partial dentures stable on the teeth? Q. Are partial dentures the same as dental bridges? Q. Will partial dentures change what I can eat? Casas Adobes Dentistry was established in 2018. We are committed to providing quality healthcare to families located in the Tucson area and treat patients of all ages. Copyright © 2019 All Rights Reserved Casas Adobes Dentistry.